The Fiske Guide has all the information you need to choose a college that's right for you. Careful research as well as testimonials from real students provide helpful, honest information about the academic climates, along with the important social and extracurricular scenes. Includes detailed profiles on academics, student life, athletics, and offers student reviews, entrance strategies, and rankings of the one hundred best college values. Offers insights on how to save money over a lifetime through an affordable college education that provides high-paying jobs. Students with learning disabilities head to college every year. This guide makes it easy for those students and their families to tackle the daunting process of finding schools that fits their needs. In-depth descriptions of 200 of the most popular majors are followed by complete listings of every major offered at over 3,800 colleges, including four-year, two-year and technical schools. Big Future- The College Board's Big Future allows you to research school by name, location or will give you matches based on a brief quiz. Campus Tours- View thousands of virtual campus tours and maps. Christian College Guide- Search for Christian Colleges by affiliation, size, location, athletics and major. College Confidential- Search for colleges based on every criteria imaginable. Colleges That Change Lives- CTCL is a non-profit organization with the goal of each student finding a college that develops a lifelong love of learning and provides the foundation for a successful and fulfilling life beyond college. Green Colleges- The Top 50 Green Colleges, plus reported sustainability information from over 300 more schools. International Study Abroad Program- Research study abroad programs. MatchCollege- Find information on housing, financial aid, tuition, admission, athletics, current events and more for over 6,000 schools. Online Degrees- Search for schools offering online degrees by degree offered or by subject area. Unigo- Find colleges that meet the atmosphere and culture you are looking for by searching student reviews and browsing their unique and funny ranking lists. US Network for Education Information- Find out information about attending universities in other countries. US News and World Reports College Rankings- Get exclusive rankings of 1,600 schools. They also have tools to search for your perfect fit and details on scholarships, loans, and grants. College Admissions Officials Turn to Facebook to Research Students- US News and World Report discussed the way to use your public social media profiles to your advantage when applying to colleges. Using Social Media for College Admissions- Petersons's offers tips for protecting yourself from blowback from your Facebook profile being seen by a college admissions officer and for using social media as a tool to your own benefit. Do College Interviews Count?- The Daily Beasts break down which interviews really matter and why some colleges are doing away with them altogether. 114 real application essays that helped students get admitted and insider advice from admissions officers at 19 top colleges. Luterman and Bloom present the admissions process as an opportunity for students to mature, expand their horizons, and discover what makes them tick. This book gets students in, and gives them the tools and confidence they will need for future success. Provides tips on writing a college essay, including ones on such topics as science fiction, hobbies, community service, and significant experiences. Learning Express Library- This database offers practice tests and preparation tools on a variety of tests such as the SAT, ACT, AP, CLEP and more. Job and Career Accelorator- Find internships, explore colleges and technical schools by major and location, and research careers. Offers practice for all exam question types, including brand-new formats, with detailed answer explanations, test taking strategies, and an introductory guide to the major changes in the redesigned 2016 exam. Presents listening exercises, synonym matching, and other vocabulary-building exercises for selected words from the lyrics of each of 12 popular songs on the accompanying CD. An indispensable guide to acing the SAT--as well as the affecting story of a single mom's quest to light a fire under her teenage son. 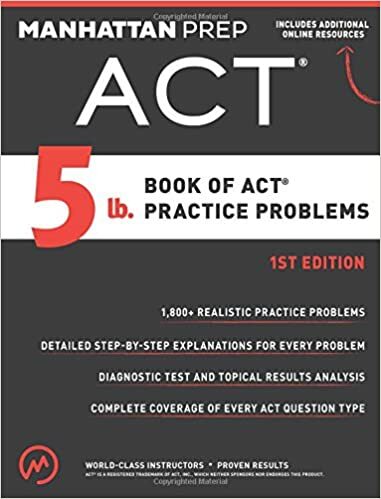 This book contains actual, previously administered tests across all 20 SAT Subject Tests and answer explanations for all the tests from the test maker. A true insider’s guide, filled with effective strategies and tips, delivered with the attitude, smarts, and wit. 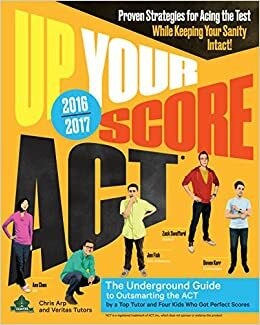 Written by Chris Arp, a Princeton graduate and top ACT tutor— with the help of four students who aced the test, this book will make you actually want to study. Offers busy students a structured, practical approach to earning top scores in just 30 days or less. This book includes a diagnostic test to help determine strengths and weaknesses to help students easily focus their study efforts and access to one online full-length practice test. Over 1,800 practice problems written by expert instructors, thorough explanations, and one-of-a-kind progress trackers. Practice with the question of the day or access an archive of previous questions organized by difficulty level. The app will also track stats so you can see your improvement over time. Rated by Apple as one of the best educational apps of 2011, MindSnacks is a free app for iOS devices featuring 9 addictive games designed to build essential SAT, PSAT & GRE vocabulary. Math Brain Booster improves your attention span, reaction time, and mental sharpness by challenging you to solve different arithmetical tasks within a time limit. It’s fun, streamlined, and very effective for standardized test prep. ACT Flashcards designed by experts on the test and updated for the latest content on the ACT. They cover the essential English, math, and science knowledge students need to know and are a confidence-boosting supplement to practice questions. FAFSA- Students must complete the Free Application for Federal Student Aid in order to be eligible for student aid. College Savings Calculator- Use this handy calculator to determine how much you could or should be saving to meet college expenses, and how to maximize your savings efforts. FedMoney- FedMoney.org is the most comprehensive free full-text online resource on all U.S. government grants and student financial aid programs. College Scholarships- Browse scholarships using several criteria including sports, minority, subject or by state. No registration required. 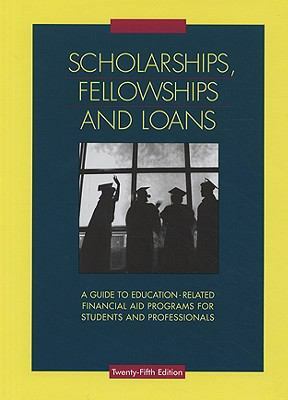 Scholarships Fellowships and Loans by Gale (ebook)- Provides comprehensive information on sources of education-related financial aid sponsored and administered by private organizations and companies. Covers a variety of programs in all educational areas, including area and ethnic studies, business, computer science, education, liberal arts, medicine, physical sciences, theology and religion, and more. Intended for students and others interested in education funding. 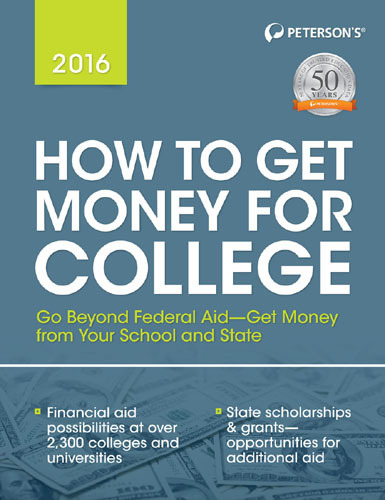 Peterson's How to Get Money for College- A directory of billions of dollars in financial aid includes federal grants, work-study programs, gift aid, and athletic awards, all available from more than 2,100 four-year colleges, as well as an overview of the financial-aid process, indexes and state-by-state listings of public scholarships and grants. The Student Athlete's Guide to Getting Recruited by Stewart Brown- This book addresses how to get recruited by top colleges and universities and also how to excel academically in both high school and college to ensure a successful career as a student-athlete. 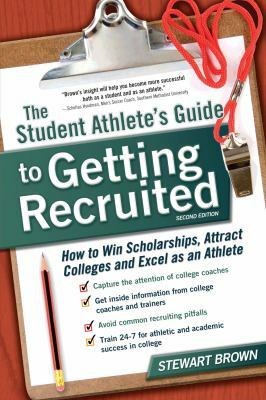 Offering insider information, this guidebook for getting scholarship money also provides tips for understanding the complicated NCAA recruiting rules, information on what colleges really want from athletes in their programs, and the transition from high school to college athletics. 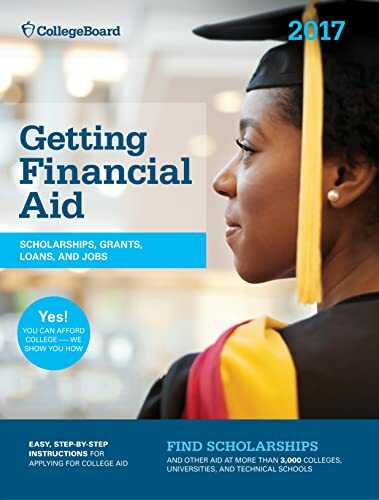 Getting Financial Aid by The College Board- Describes the financial aid opportunities at over three thousand two- and four-year colleges, universities, and technical schools, accompanied by a planning calendar, worksheets, itemized charts, and cost-saving tips. 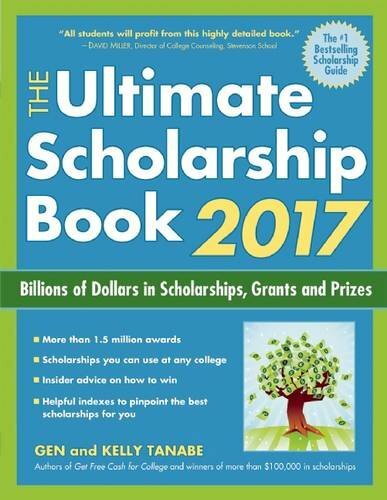 The Ultimate Scholarship Book by Kelly Tanabe- Information on thousands of scholarships, grants, and prizes indexed by career goal, major, academics, public service, talent, athletics, religion, ethnicity, and more. Includes information on how to complete the application process, including eligibility requirements, how to obtain an application, how to get more information about each award, sponsor website listings, award amounts, and key deadlines. 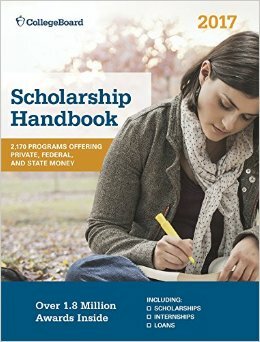 Scholarship Handbook by College Board Staff- Scholarships, grants, internships, and loans for undergraduate and graduate students.